Tristan Llevanth loved the sea and being aboard his ship, but when he is injured fighting side by side with Admiral Nelson, he has to give up what he loves, and his men come with him. Tristan settles in a house in the countryside that overlooks the ocean. And despite the peace he desires, he never manages to hold onto it. A neighbor widow, Prudence Thistlewaite, is definitely the bane of his existence and they tend to get on each other’s nerves. Then Reeves (his late father’s butler) tells him that he is the new earl, he needs to learn all the pompous rituals that come with the title and the money, which he desperately needs for his men. So Reeves has Prudence endeavor to teach Tristan, which is a sore trial in and of itself. And the more time they are alone together, passions ignite between the two of them, with the future uncertain if they could end up together in the end. Tristan Llevanth was a pirate of the sea, and ever since he was ten years old, has lived on a ship and the ocean, and has loved his life aboard. However after his leg gets injured he has to give his life up. Tristan is a twin, his mother died in prison, charged with treason, even though she was innocent, he has despised his father for not saving her in time, and lost his twin brother and has searched for him ever since. Now he has to take the title, if it means to help his men who are like family to him. And to contend with a widow, who threatens to take hold of his heart. Prudence Thistlewaite, loved her husband but then he died and now lives with her mother, and about to set up a school for girls. 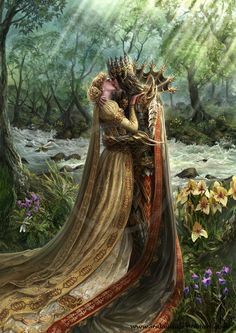 But is utterly annoyed with Tristan and their tempers tend to fire up when they are near each other, but when he kisses her senseless, and everything changes for him, because she knows that she could very easily fall in love with this handsome rogue. As much as I love this author, this is probably my least favorite book of Karen Hawkins. It took me a while to get into the story, and had to force myself to keep reading until I got into the story, which thankfully I did, but it seemed to take a while. There were certain aspects of the story that I really fell in love with though. The characters I found intriguing and utterly fascinating, and all of them had me at the very beginning. The plot was very mystery packed and filled with surprises, that will delight you. 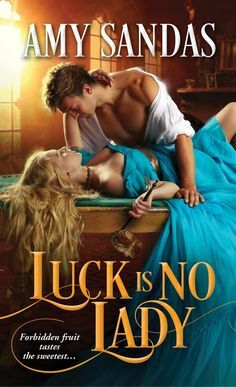 However I just found at the beginning the interaction between Prudence and Tristan, leaves much to be desired, however once the story really got going, then it started to even out, and I started to enjoy the story. But overall it was a good romance and was glad to finally read Tristan’s story.